It was an exciting day for Scott + Ida. Their city hall wedding in Lowell, Massachusetts began with picking up their marriage license at the city clerk's office, followed by an intimate ceremony in the Mayor's reception Room upstairs. We've always wanted to photograph a city hall wedding because of the intimacy and the focus on the commitment to each other. 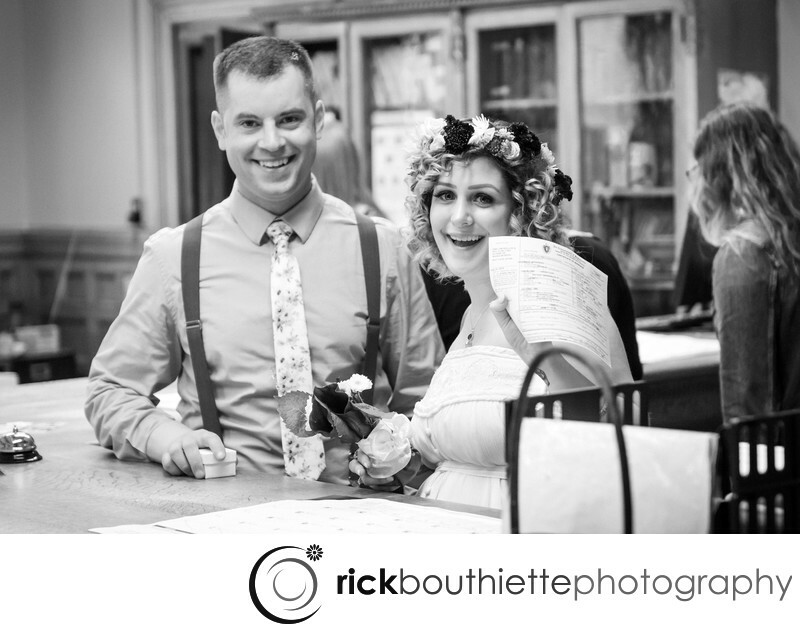 Our dream came true when Scott and Ida called and asked if we would document their ceremony at Lowell City Hall.